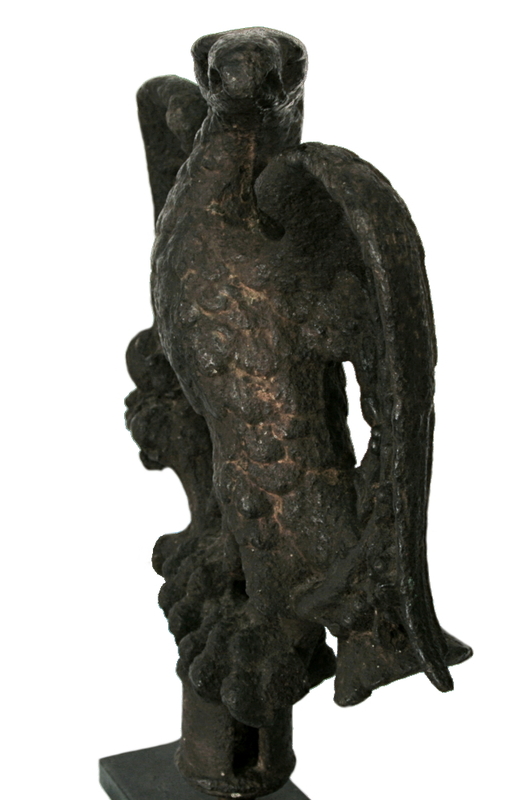 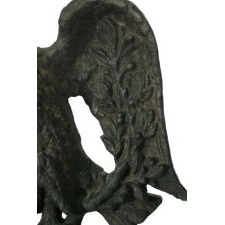 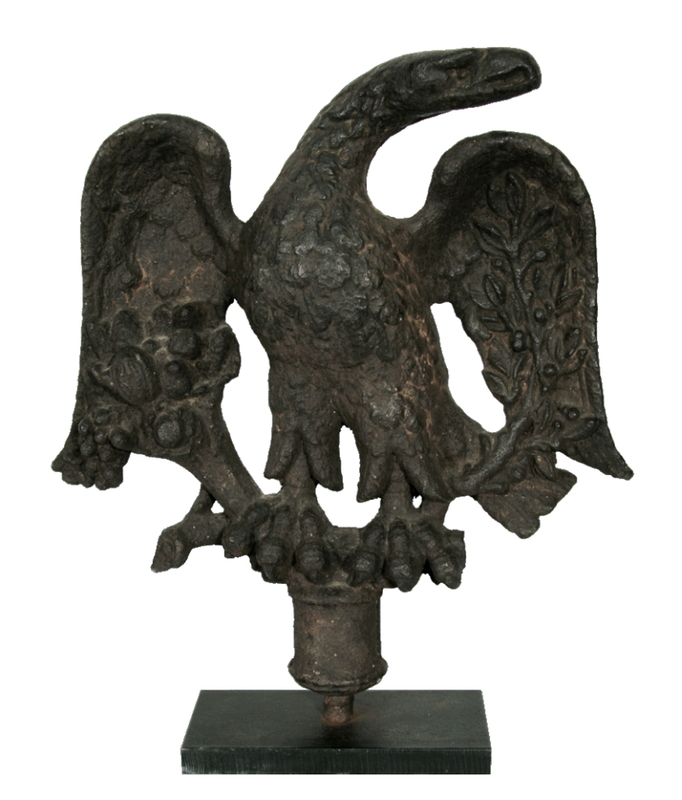 This cast iron eagle is one of the earliest sculptural forms that one will encounter in the marketplace. 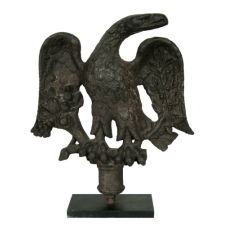 It is also one of the most attractive and iconic depictions of what some Americana enthusiasts call a snakehead or turkey head eagle. 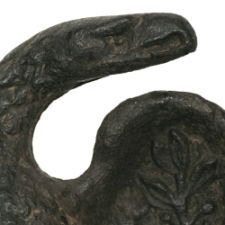 The casting was made to serve as a counterweight on the Columbian Printing Press. 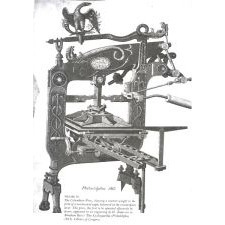 it balanced on the lever for the press, which was in the form of serpent. 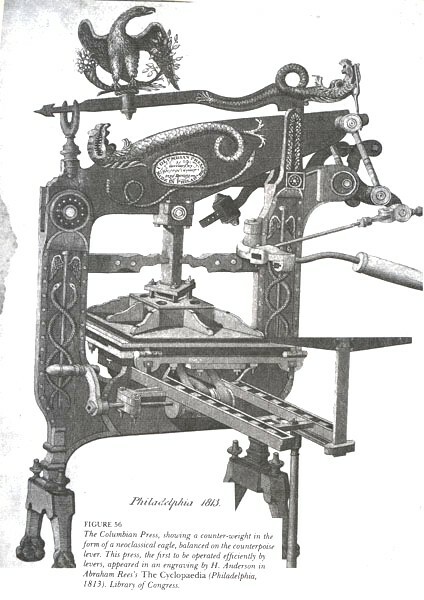 Designed by a man named George Clymer, it is known to have been operating in Philadelphia as early as 1813. 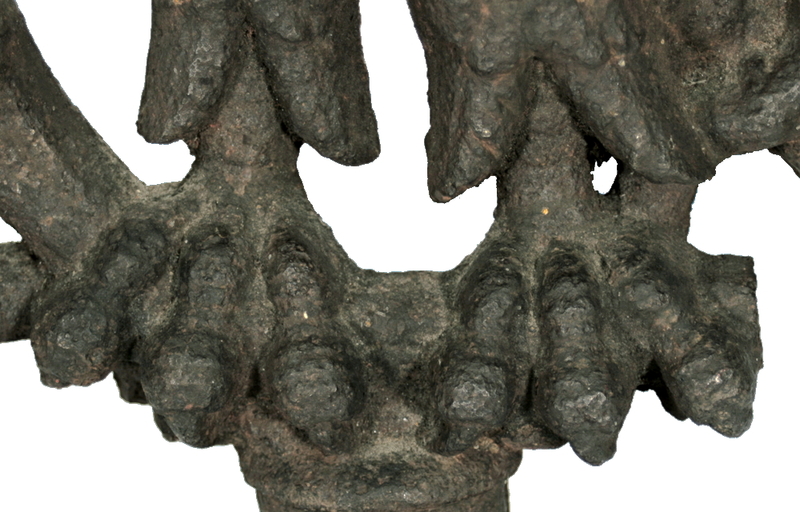 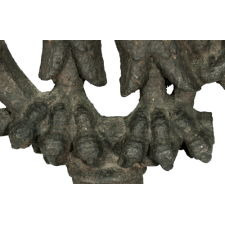 Three sizes have been discovered, of which this is the smallest (16.5” x 12”), but at the same time the most comely. 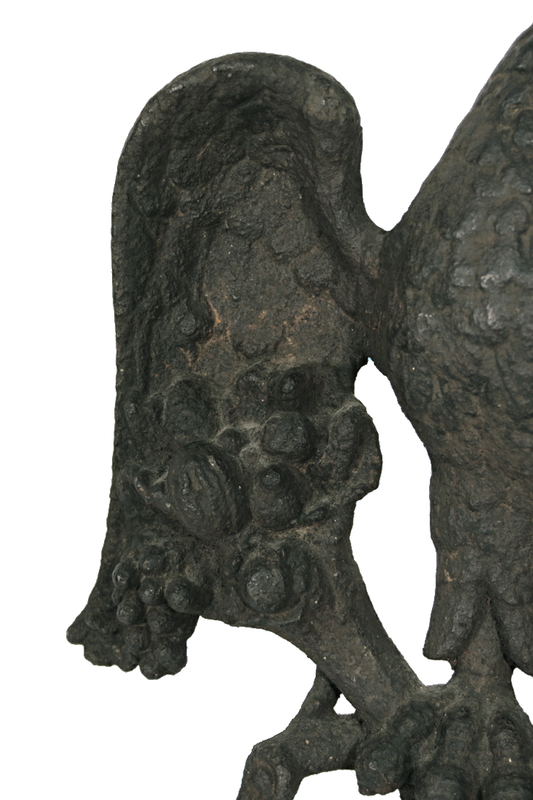 This version has the advantage of being fuller-bodied and more aesthetically pleasing. 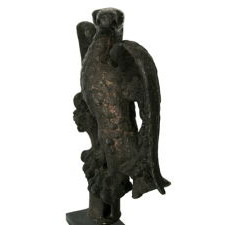 This particular one is extraordinary among surviving examples because of its outstanding, original surface and patina. 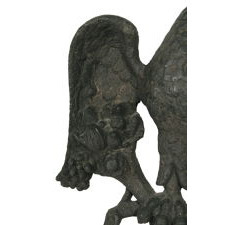 In this respect it represents the best that I have ever seen. 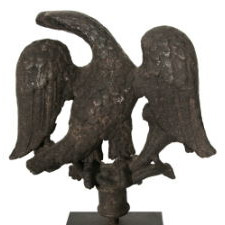 Note that it holds an olive branch in its right talon and a cornucopia in its left, instead of the usual arrows, as if to suggest "American the plentiful." 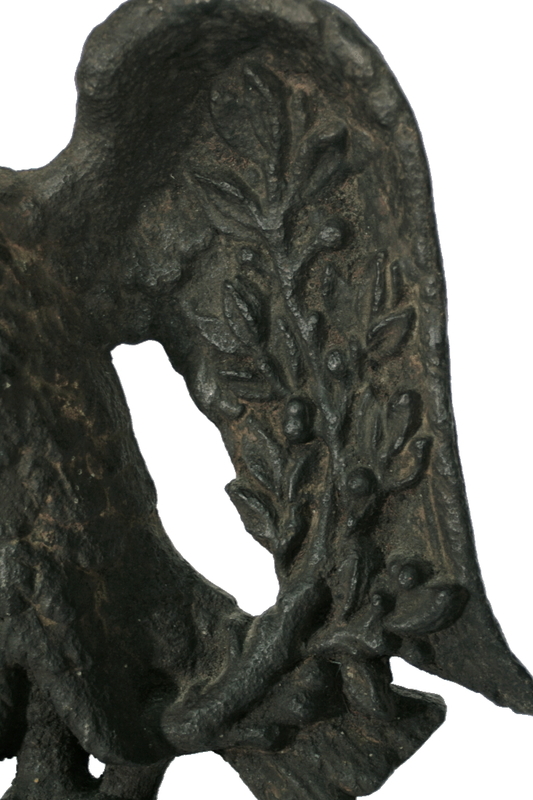 The level of detail is wonderful and adds to the attractive appearance. 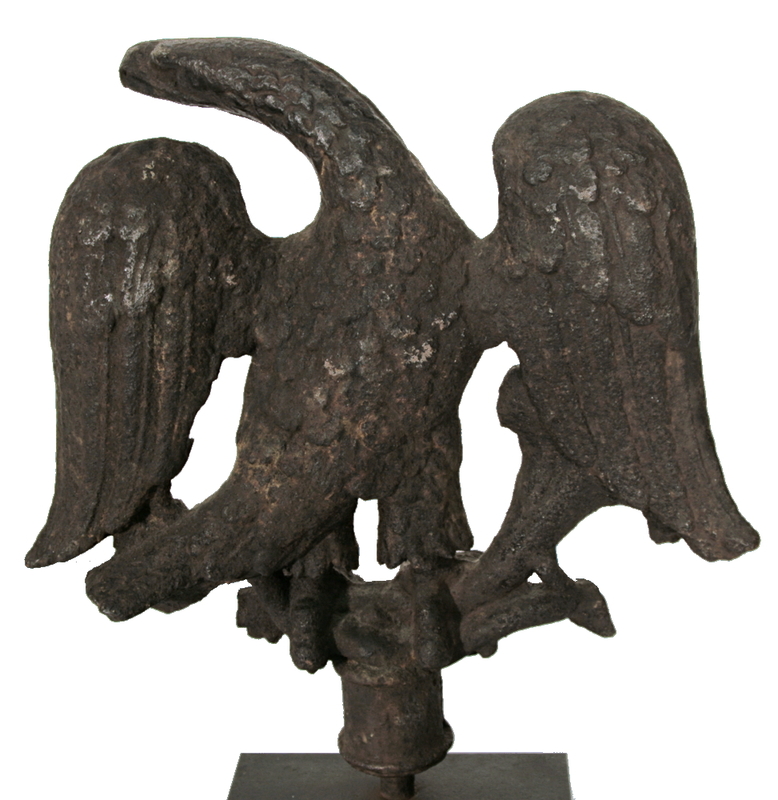 For all of the above reasons, this is an exceptional sculpture with a very early date among known types of figural American eagles.